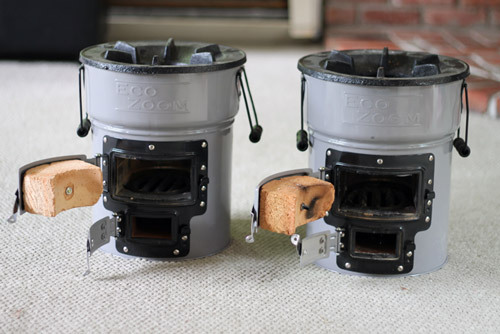 If you’ve been a regular reader of my blog then you know how much I recommend EcoZoom’s rocketstoves (for you newbies to rocketstoves, check out my review of the EcoZoom Rocket Stove for more details). From the people that have purchased it, one of the common complaints I hear about is how heavy they are. Weighing in at around 21 pounds, these bad boys will not be part of your ultralight camping gear anytime soon. 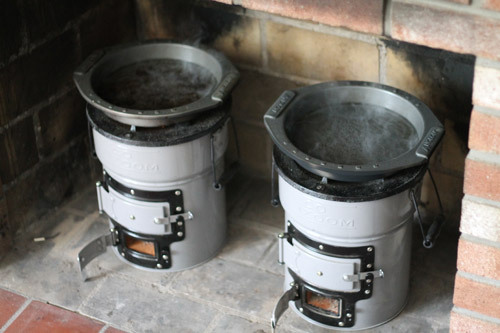 But despite the weight, they are an excellent addition for long-term off-grid cooking — perfect for temporary and long-term power outages and super efficient to boot. 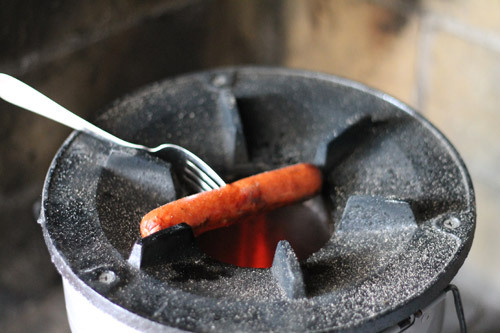 Recently I was contacted by EcoZoom to do a review of their new lightweight EcoZoom Versa stove. It’s essentially the same thing as the last one I did a review on but a good 6 pounds lighter. Since I already did a fairly thorough review of their standard Zoom Versa I didn’t want to rehash the same details that I spoke of last time (not much has changed in terms of form and function). With the significant weight drop though, I did want to compare the performance of both stoves to see if the new lighter-weight one had been negatively affected in any way. From the picture above you can see that there is no difference in outward appearance or function between the original Zoom Versa and the new lightweight one. They both have the same 6-pronged pot supports, reinforced swinging fuel and airflow doors, and metal-lined combustion chamber (see pic below). 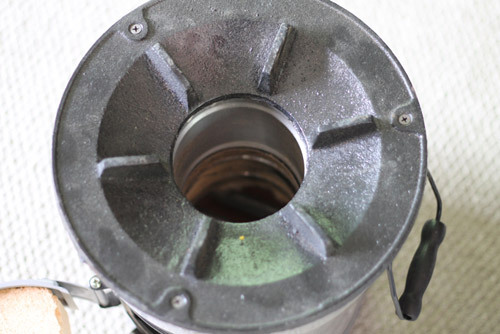 This is obviously the main difference between the original stove and this newer one. 15 pounds compared to 21 pounds may not sound like much of a difference but it definitely feels significant when you’re hefting the two around. Actually the older stove started to boil about 5 seconds before the newer one, but it’s not significant enough to say there really is a difference. 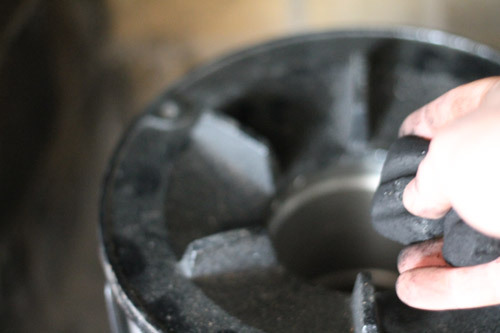 Finally, at the 80 minute mark I was able to hold my hand over the combustion chamber without having to remove it. All in all I did not see any significant difference in performance between the two stoves. 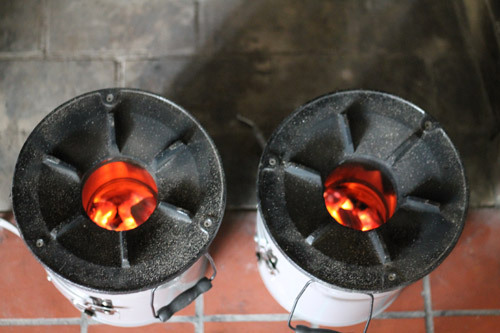 EcoZoom certainly did a great job at reducing the weight but at the same time maintaining the performance of the original stove. It still may not be light enough for an ultralight backpacking trip or when bugging out on foot, but for home and camping use it’s perfect. This year I’m definitely going to be taking it on a canoing trip with me to test it out in the bush. I was on the fence with the older one due to the weight but with this newer one I have no issues taking it along. 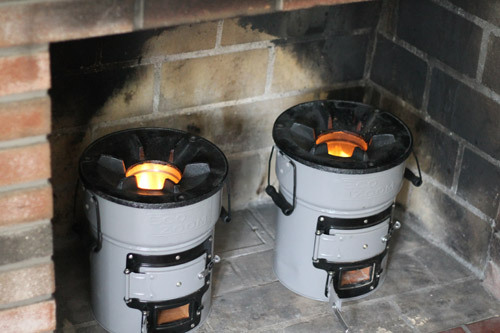 I realize there are a lot of other smaller and lighter camping/off-grid stoves on the market, but having a stove that requires nothing but minimal wood or charcoal to cook and simmer food for over an hour is the ultimate benefit of these stoves. If you haven’t yet bought one, I highly recommend it. 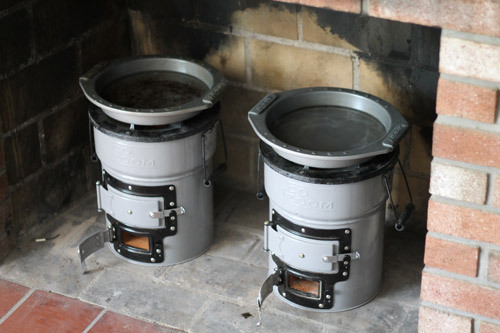 You can check out (and purchase) EcoZoom’s stoves at the EcoZoom website here. Although I do make a small commission if you purchase through this link (which I’d be very grateful for! ), these would be high on my recommend list even if I didn’t. Let me know if you have any comments or questions in the comments section below. I’d love to hear from you! 1. Most survival families will probably be defeated in detail because there will be too few of them to defend their property. 2. An important aspect of survival group small unit tactics is the variety and typology of ammunition and firearms found in even the smallest groups. That is why the formation of larger survival groups is imperative. Frequently, a group of five or six adults and teenagers will be armed with several types of rifles and pistols, and they will possess very few magazines or interchangeable bullets for those weapons. There is no way that a small survival group with non-standardized weaponry (interchangeable bullets) can defend itself for long. After a firefight or two, small groups will be left with either a few hundred .22 caliber rounds, or nothing. For reasons of opsec I will not finitely spell out the first problems that must be solved by survival groups which require both specific training and specific operations. Only in a group, whose shooters include at least 20-30 trained personnel, can the key problems of long term survival in a pacification zone, be solved. The FBI has readied two battalions of airmobile mercenaries to be used to mop up survivalist households in several key southeastern states. In my state infiltrators are everywhere attending survivalist meetings, taking license tag number and posting warning signs. The FBI’s Infragard informant unit is mobilized among all merchants that sell any survivalist supplies from beans to bullets. Most small (family)survivalist groups will surrender to the FBI and then be herded into concentration camps. Only covert survival groups will initially survive. But joint National Guard, police, FBI and BATF pacification sweeps will eliminate nearly all “mom and pop” survivalists. Of course this is all projected, paranoid fantasy, intended for entertainment purposes only. Some very good insights here. I’d love to pick your brain about this subject. I live in Spain and I am very interested in this product. I wonder how I can purchase the Zoom Versa.